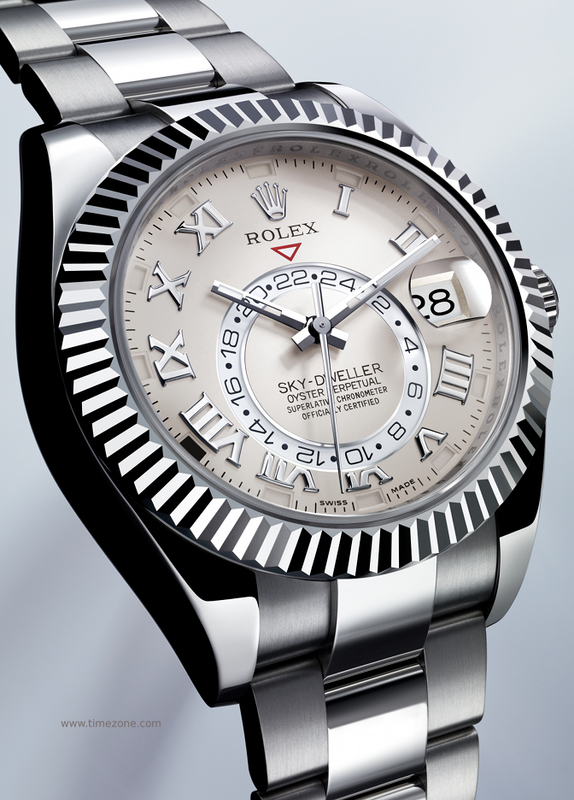 New for 2012, the Rolex Oyster Perpetual SKY-DWELLER features a dual time zone that is as intuitive to read as it is simple to use. The display’s highly original design endows the watch with an aesthetic identity all of its own. A fixed inverted red triangle indicates the reference time. The 24-hour display allows the wearer to distinguish daytime from night-time hours. A particularly ingenious patented mechanism inspired by an astronomical phenomenon differentiates between 30-day and 31-day months, thanks to just four additional gear wheels. 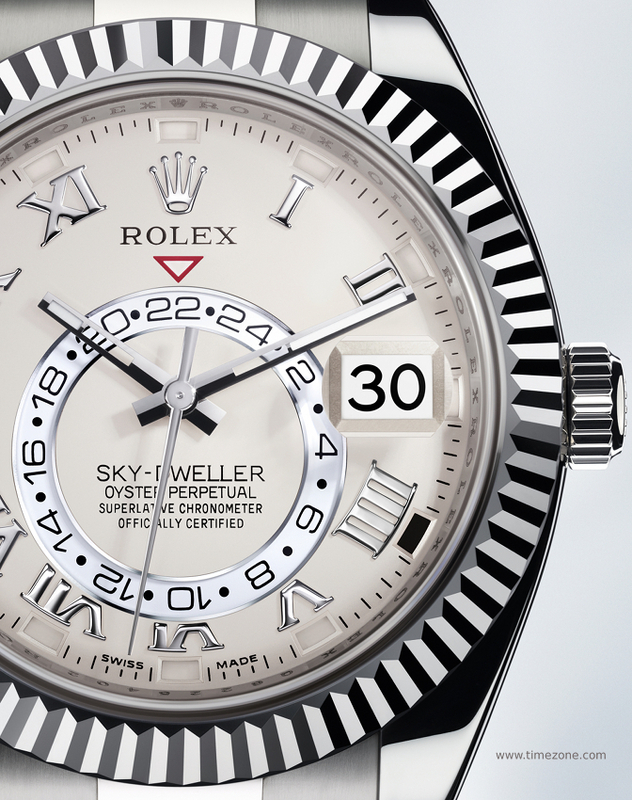 The Oyster Perpetual SKY-DWELLER is equipped with a revolutionary annual calendar offering unparalleled robustness and reliability for such a complex watchmaking function. This annual calendar’s qualities are attributable to an ingenious mechanism named SAROS, patented by Rolex. Its original design was directly inspired by the astronomical phenomenon of the same name. 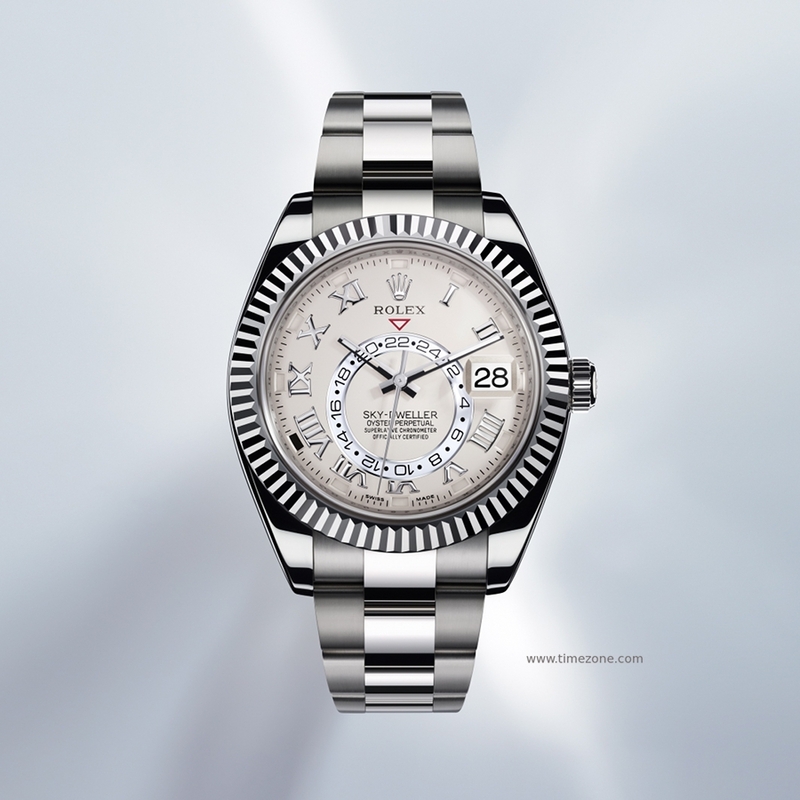 The Oyster Perpetual SKY-DWELLER’s calibre 9001 is a completely new self-winding mechanical movement, a pure distillation of Rolex technology. 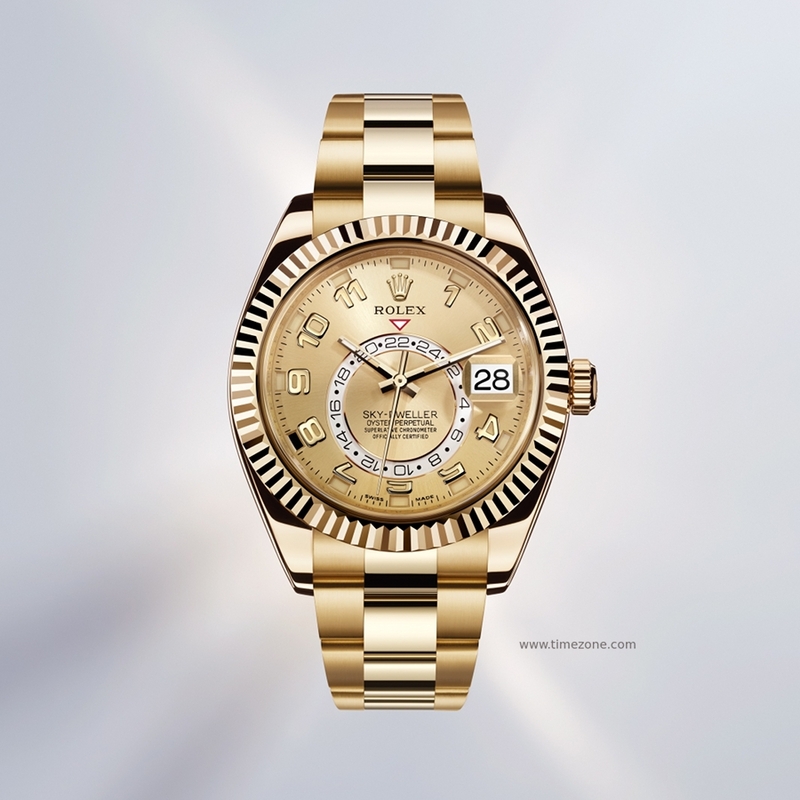 A certified chronometer, this new high-performance movement entirely developed and manufactured in-house by Rolex and consists of 380 components and is backed by seven patents - four of which are new.